Syllabus of the Online Course (Subject): Intergovernmental Authority on Development (IGAD). 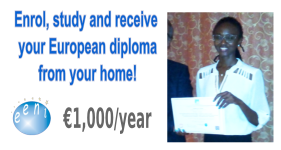 Description of the Online Course: IGAD (Intergovernmental Authority on Development). 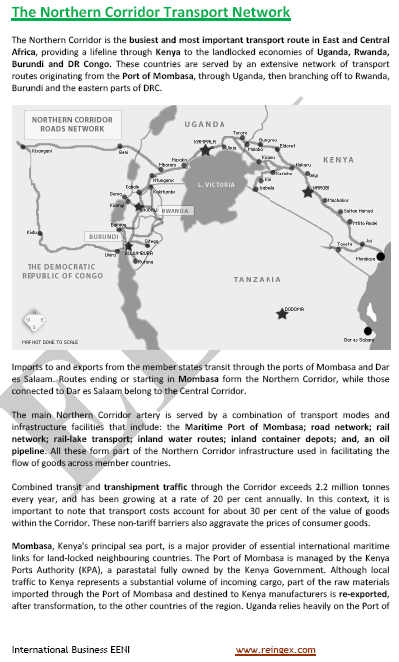 The Intergovernmental Authority on Development (IGAD) region extends over an area of 5.2 million square kilometres comprising Djibouti, Eritrea, Ethiopia, Kenya, Somalia, Sudan, South Sudan, and Uganda. Eritrea was suspended in 2007 and readmitted in 2011. 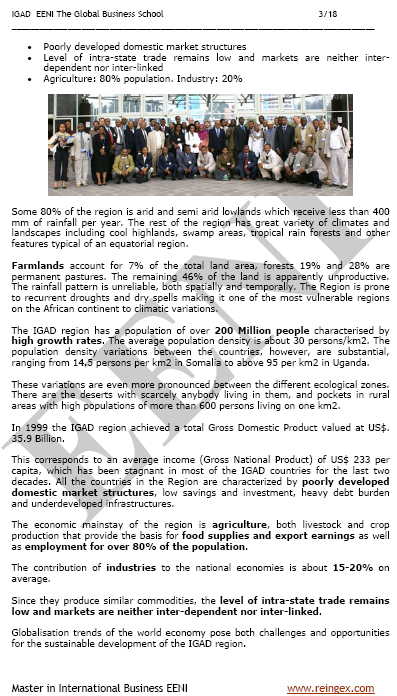 The population of the Intergovernmental Authority on Development (IGAD) region is 200 million people (3% of the world's people) and is the recipient of 40% of the entire global food aid. The economic pillar of the IGAD region is agriculture, both livestock and crop production that supplies the basis for food supplies and export earnings as well as employment by more 80% of the population. The Intergovernmental Authority on Development (IGAD) will also take an active part in Africa, the Caribbean, Pacific and the European Union negotiations together with the follow-up of implementation of the RSP/RIP for East Africa regional organisations under the Cotonou Agreement (European Union). 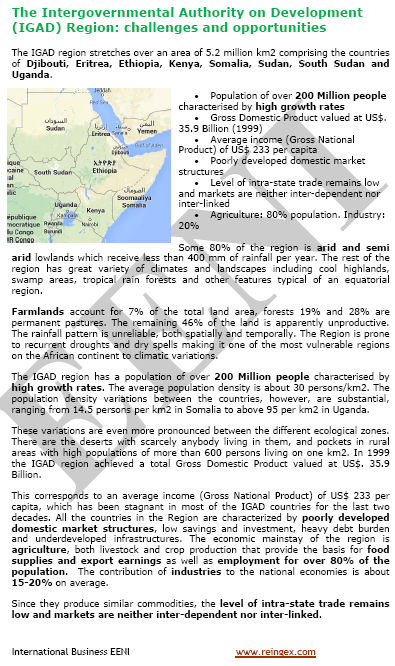 The Intergovernmental Authority on Development (IGAD) belongs to East African Economic Area (African Civilisation).